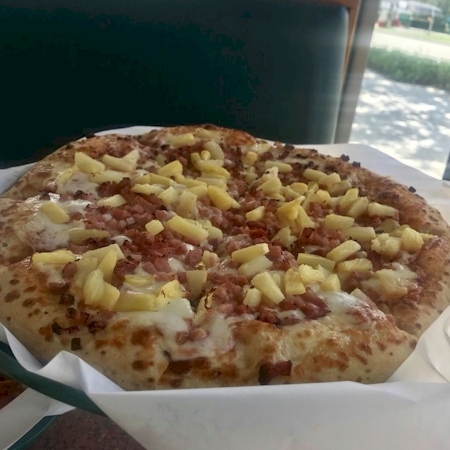 Il Primo specializes in pizza and wings, but they also serve a number of appetizers, along with subs and salads. Oven baked with garlic butter, served with marinara sauce. Choose from Pepsi, Diet Pepsi, Dr Pepper, Sierra Mist or Mountain Dew. 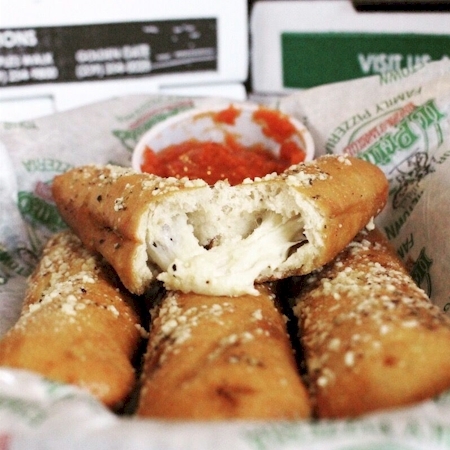 Tasty mozzarella stix, served with marinara sauce. A basket of crispy fries, served with ketchup. Romaine lettuce, red onions, grape tomatoes, cucumbers, black olives and Mozzarella cheese with choice of dressing. Add chicken for an additional charge. 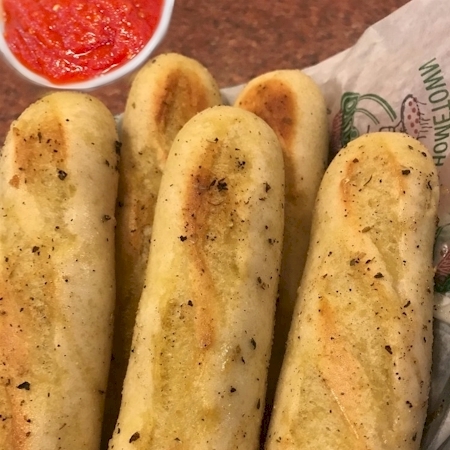 Mozzarella stuffed bread stix, served with marinara sauce. Deep fried cinnamon sprinkled funnel fries with a side of icing. 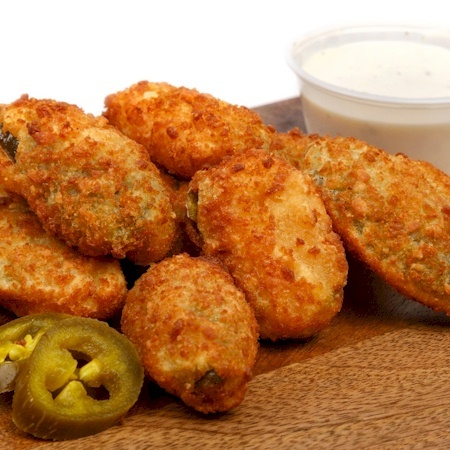 Breaded fried jalapenos stuffed with cream cheese, served with ranch. Made from tender elbow macaroni and a blend of smoked Gouda, Cheddar, White Cheddar, Parmesan and Romano cheeses. Beer battered fried mushrooms, served with ranch. 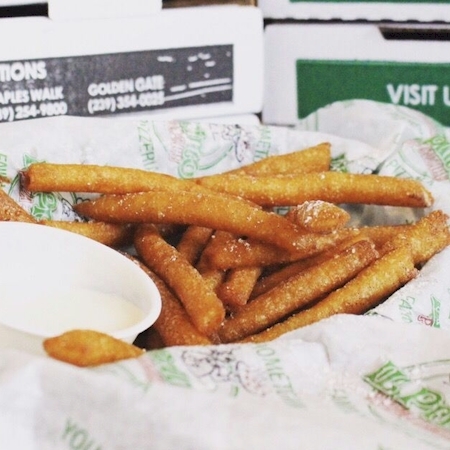 Breaded zucchini fried for a crispy exterior, served with ranch. Toppings - Pepperoni, Sausage, Meatball, Ham, Bacon, Cheddar Cheese, Bell Pepper, Anchovies, Zucchini, Broccoli, Jalapeño Peppers, Fresh Garlic, Banana Peppers, Onions, Black Olives, Mushrooms, Pineapple, Fresh Tomatoes, Extra Cheese. Pepperoni, Mushrooms, Sausage, Onions, Bell Peppers, Black Olives & Extra Cheese. Broccoli, Onions, Mushrooms, Bell Peppers, Zucchini, Black Olives, Fresh Tomatoes and Extra Cheese. Ranch and Bleu cheese sauce, red onions, bacon, chicken and extra cheese. 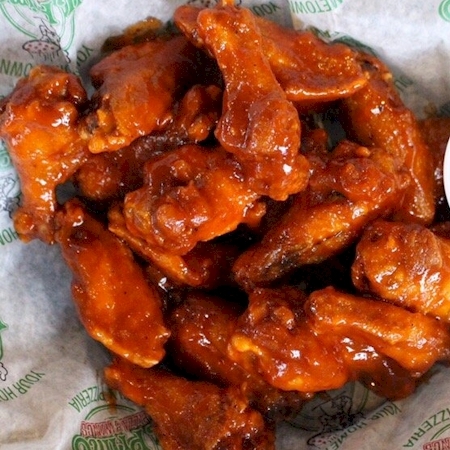 Choose from Mild, Medium, Hot, Suicide, BBQ, Sweet Chili, Buffalo Garlic or Plain. Served with Blue Cheese or Ranch. Romaine lettuce, Romano cheese and grape tomatoes, served with Caesar dressing. Add chicken for an additional charge. 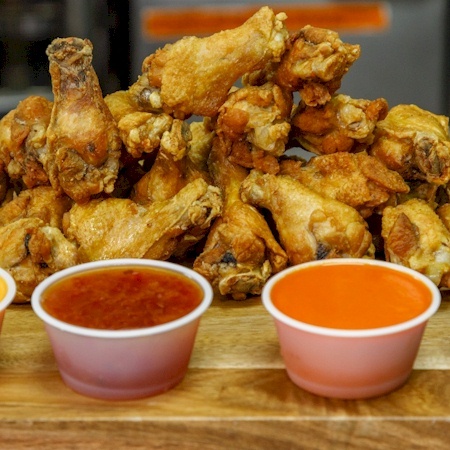 Choose from Mild, Medium, Hot, Suicide, BBQ, Sweet Chili, or Buffalo Garlic. Choose from Pepsi, Diet Pepsi, Dr. Pepper, Mountain Dew, Sierra Mist.